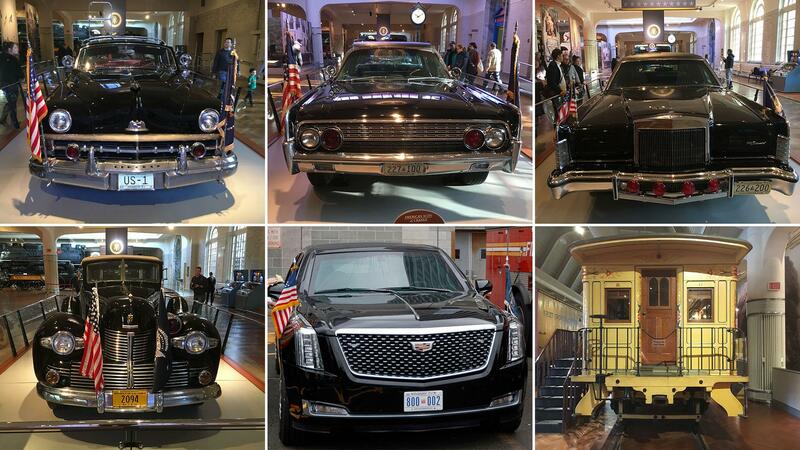 “The Beast” through the years: from a locomotive to the car in which John F. Kennedy was assassinated. They call it, for a few years, The Beast. It is the car with which the presidents of the United States move. And his nickname refers to the characteristics that make it unique in its genre. 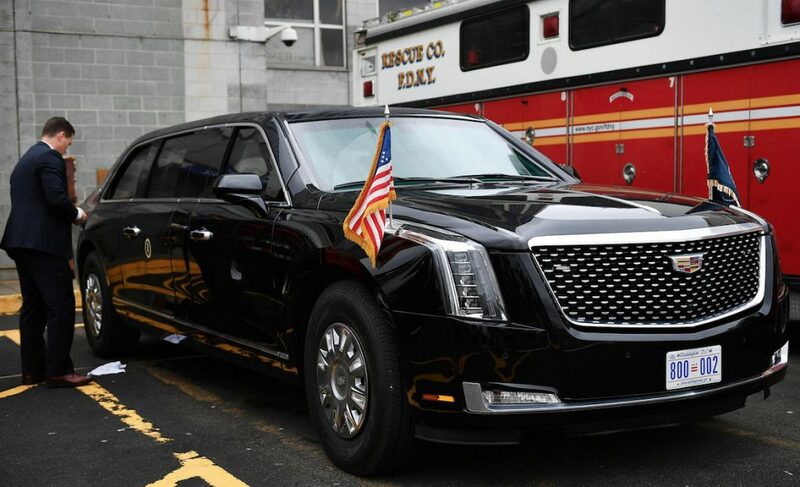 But today the Cadillac one that transports Donald Trump is very different from its predecessors… those that most could see in black and white in newspapers in the 90s, 80s, 70s, 60s… and until 1900! 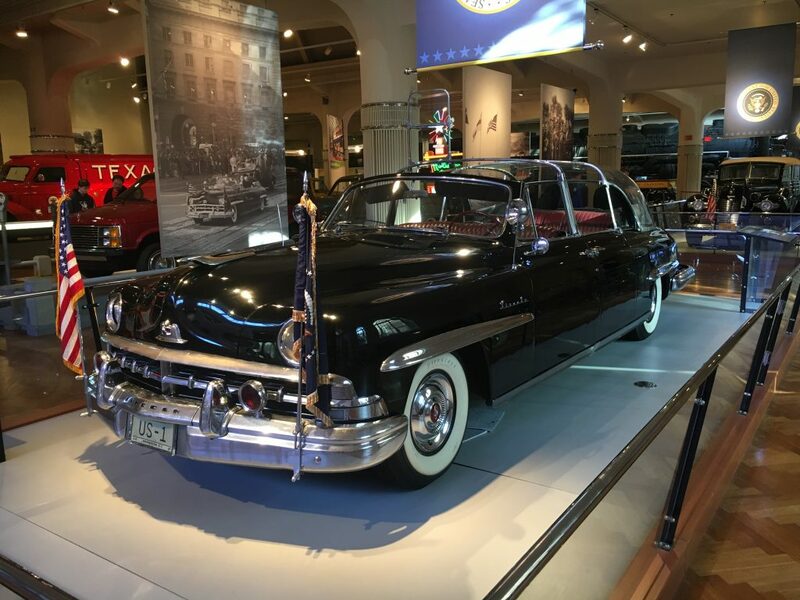 But despite the fact that currently the American leaders move in Cadillac – a brand of General Motors (GMC) – over time the safest vehicles in the world belonged to Ford. Like the one who saved Ronald Reagan’s life or who lost it to John F. Kennedy. 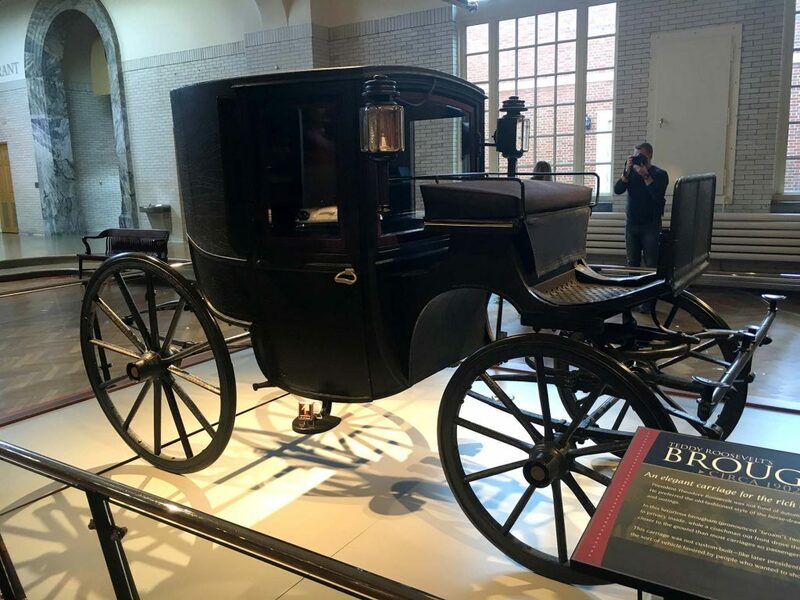 According to news media “Infob” that toured one of the most extraordinary museums in the United States that shows contemporary history: The Henry Ford Museum. 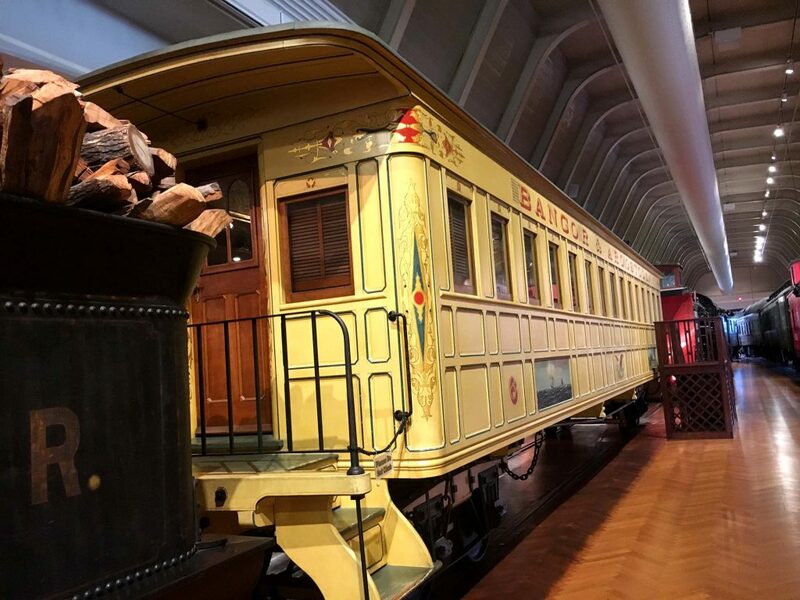 It illustrates the nineteenth, twentieth and part of the current not only with automobiles -of all brands-, but with locomotives, electric power plants, airplanes, science rooms, the first Mac, a replica of a real-size town and even the first McDonalds! All symbols of the United States. However, what most impacts is the exhibition of presidential cars of the previous presidents of George HW Bush, Ronald Reagan, Jimmy Carter, Gerald R. Ford, Richard Nixon, Lyndon Johnson, Harry Truman, Dwight Eisenhower, Franklin D. Roosevelt, Theodore Roosevelt, William H. Taft, Woodrow Wilson, Warren G. Harding and Calvin Coolidge. 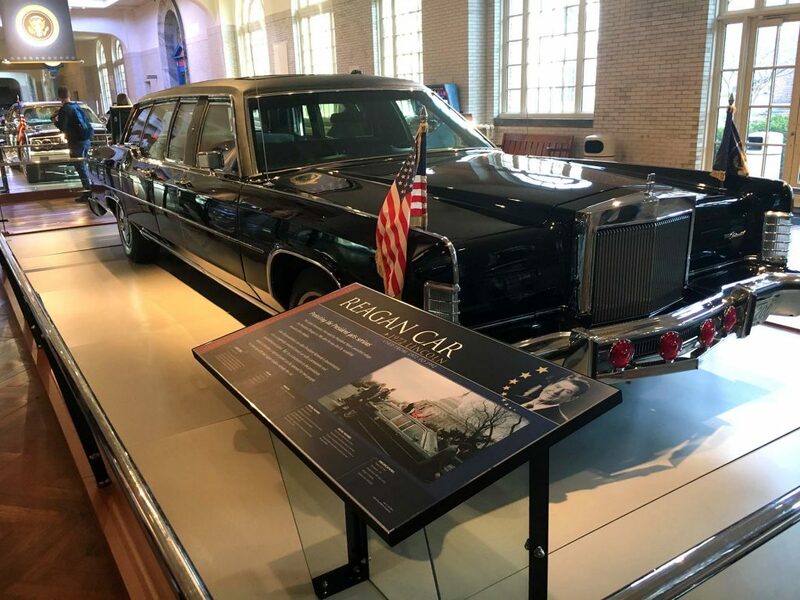 It was originally used by Nixon in 1972, but it went down in history with that name because it served as a refuge for President Reagan when he was attacked and wounded by a bullet on March 30, 1981 by John Hinckley. 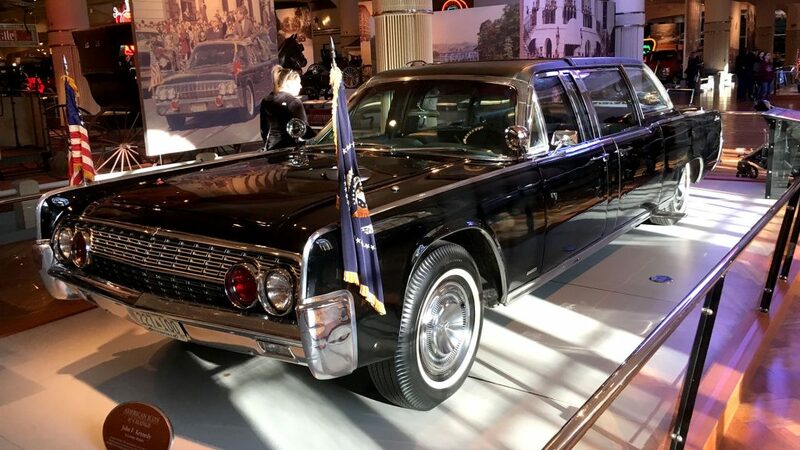 The Secret Service attended the president inside the Lincoln with a very powerful V-8 engine with 214 HP. 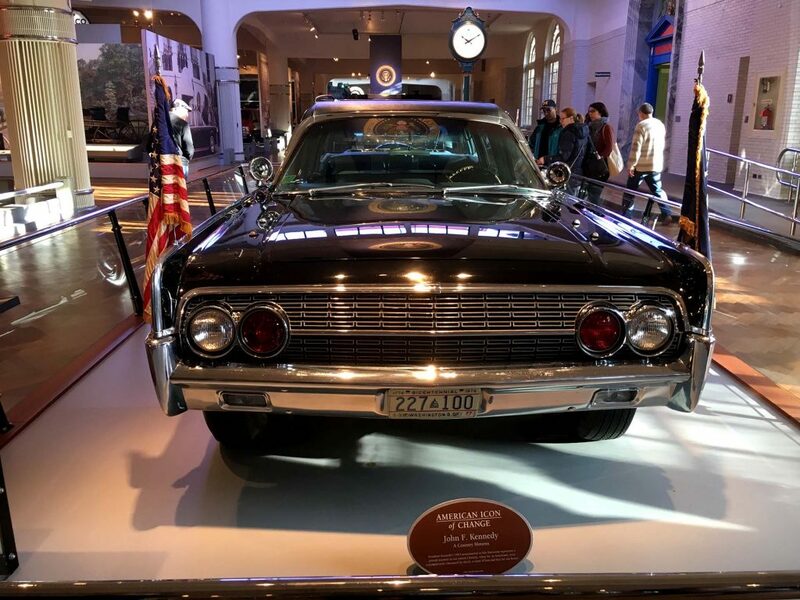 Like all the limousines of the White House after Kennedy’s assassination, it was bulletproof and its tires could remain in motion even when they were out of service due to an attack. This “beast” remained protecting American heads of state until the administration of George HW Bush. This Lincoln with V-8 engine and 350 horsepower had an original cost of 350 thousand dollars in those years. However, the exposed would suffer extreme modifications. 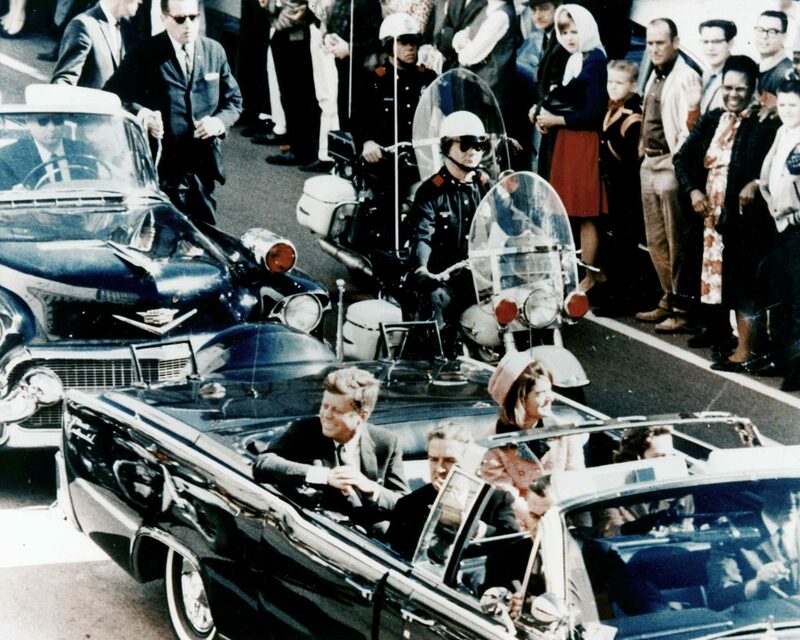 After Kennedy’s assassination in Dallas, Texas on November 22, 1963, it was completely rebuilt the following year. The Secret Service no longer allowed it to be convertible and its framework became unalterable. All steel, would be impenetrable for bullets. His fuel tank was also altered so that explosions could not occur in the event of an attack. The tires had an internal aluminium cover to prevent them from being knocked out of service. Johnson, who inherited the presidency from the late politician, ordered that it remain painted black. 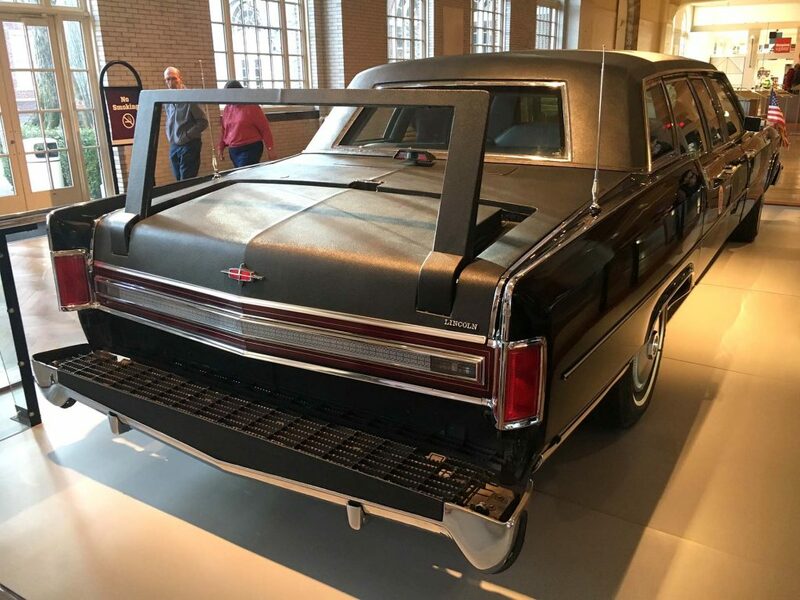 When Nixon’s time came, he asked for a modification: a sunroof by which he could lean out to greet the crowd in various acts. 1950 Lincoln with Engine: V-8 with 152 HP. 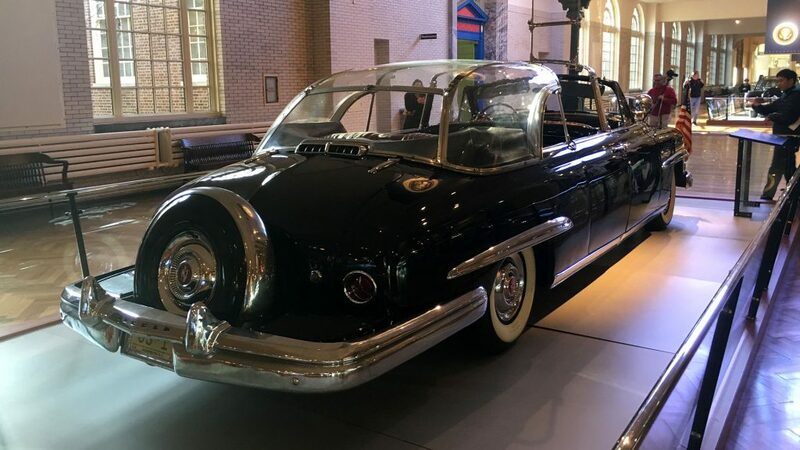 A very futuristic car of that decade commissioned by President Dwight D. Eisenhower. Its clear acrylic dome made it unique. 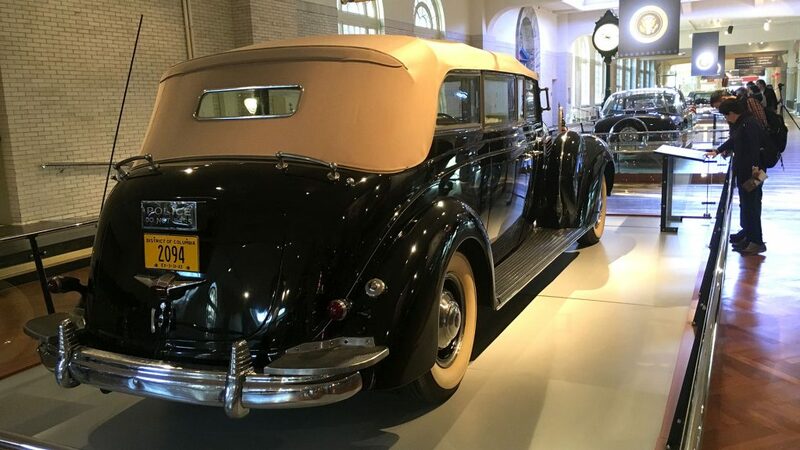 “A convertible to see inside and outside,” says the description made by the curators of the Henry Ford Museum. For its characteristic roof was known as Bubbletop (bubble roof). He had previously moved Truman, but without the modifications. After Ike passed through the White House, he also transported Kennedy and Johnson. 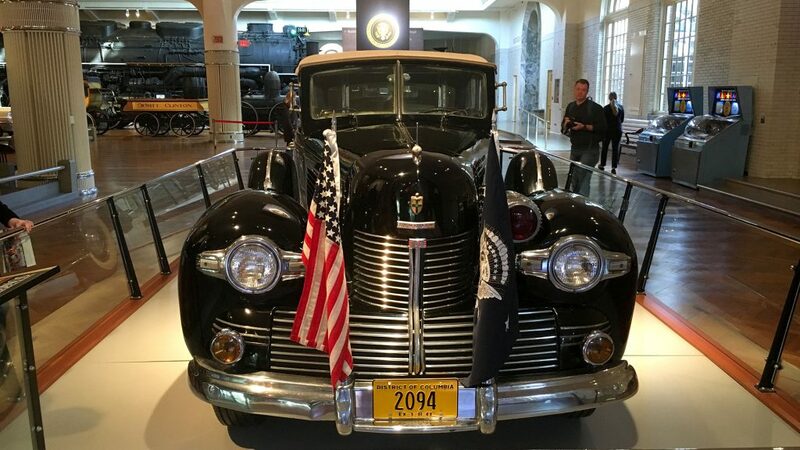 The Franklin Delano Roosevelt presidential automobile. The Lincoln of 1939 was an icon of the brand. The White House drafted five pages with the instructions it required to build five models for the American president. The original security orders – before the incipient World War II – were added in 1943, when the United States was already absolutely involved in the war. Its steel structure and its armoured glass should never have been used. In addition, he had a system to allow Roosevelt to enter and leave the vehicle, taking into account his paralysis caused by polio. The engine: V-12, with 150 HP. 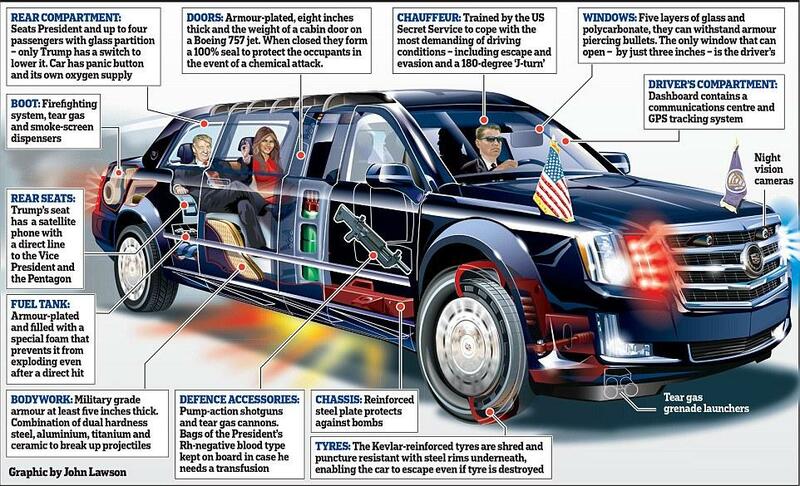 The vehicle could transport eleven people, including drivers, presidents, officials and security agents. It was used by Theodore Roosevelt for public events. Horsepower: two. It was also the transportation of William Taft, Wilson, Harding and Coolidge. Its constructor (around 1902) is a mystery although it is believed that it is originally from England. Roosevelt was not a fan of automobiles and rarely used any. He preferred the models dragged by horses. It only allowed two passengers, while a driver drove the animals. 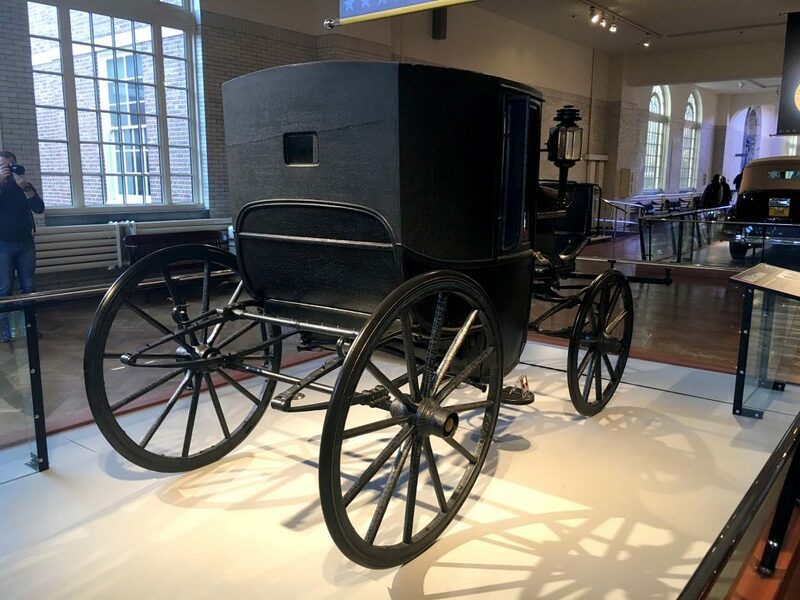 Unlike other carriages, it was designed to be close to the ground, to allow easy access and descent of the vehicle. Rogers Locomotive Works 1860 to October 21, 1929. 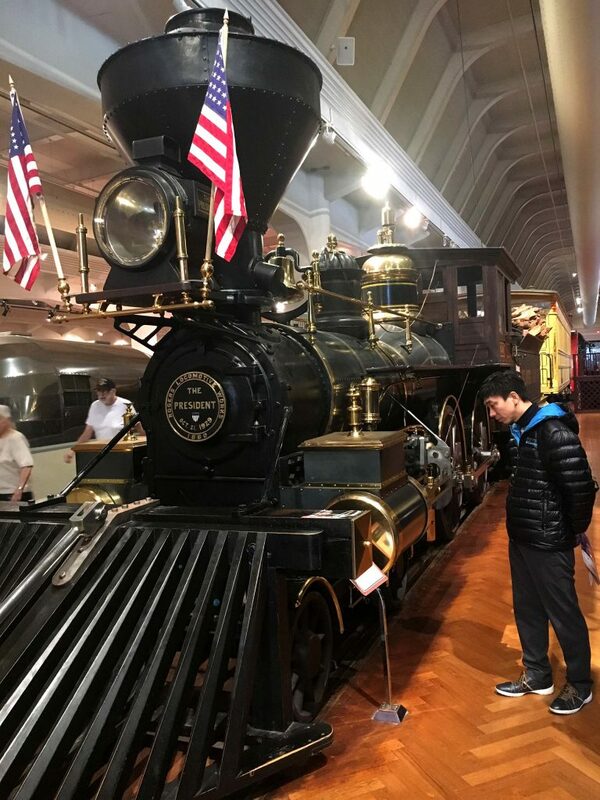 The locomotive named ‘The President’ that moved the US leaders is also inside the Henry Ford Museum. Also, the main carriage of the convoy. With design elements inherited from the Cadillac CT6 series production model, the state vehicle is actually a tank disguised as a limousine. Its specific characteristics are a true state secret but experts say that its base is the Chevrolet Suburban full-size sports utility vehicle. The passenger cabin has been sealed from the outside world against nuclear, biological and chemical attacks. A night vision system allows you to drive in the dark as if it were a military tank. The latest version is the one used by Trump and was released last September, during the General Assembly of the United Nations in New York.